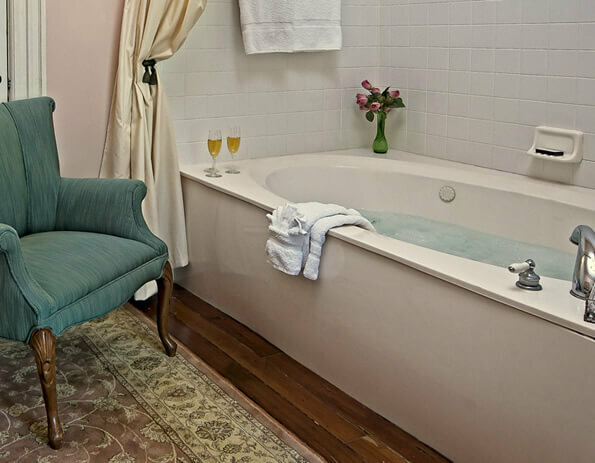 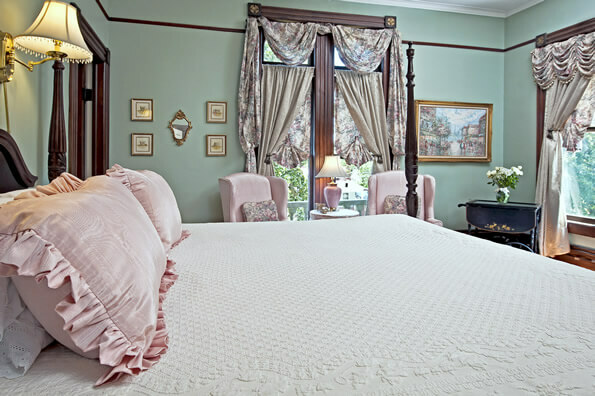 This large bright corner room boasts the largest bathroom in the mansion. 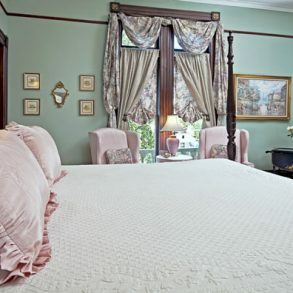 It was originally used as Major Fairbanks’ office attached to his bedroom, and it features beautiful (original) hardwood floors, a two-person Jacuzzi, an electric fireplace and a lovely window seat. 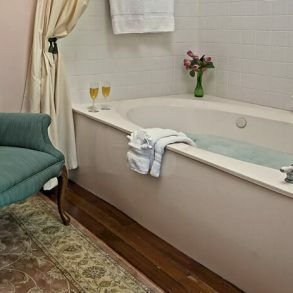 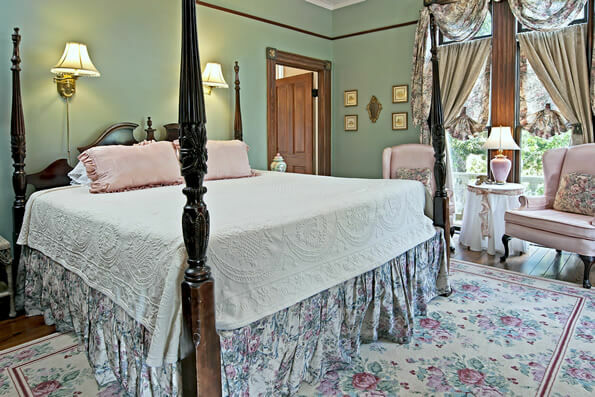 The bedroom offers a king four-poster bed as well as a carved soapstone decorative fireplace and two comfortably large upholstered rolled-arm chairs situated in front of a 32-inch flat panel television. 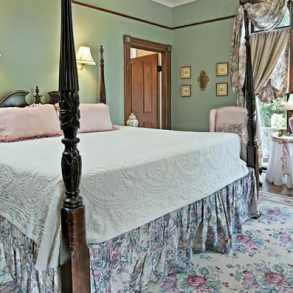 Romantic tapestry fabrics are used in the draperies throughout.